I’m pretty patriotic and I love to have my students sing songs about America. 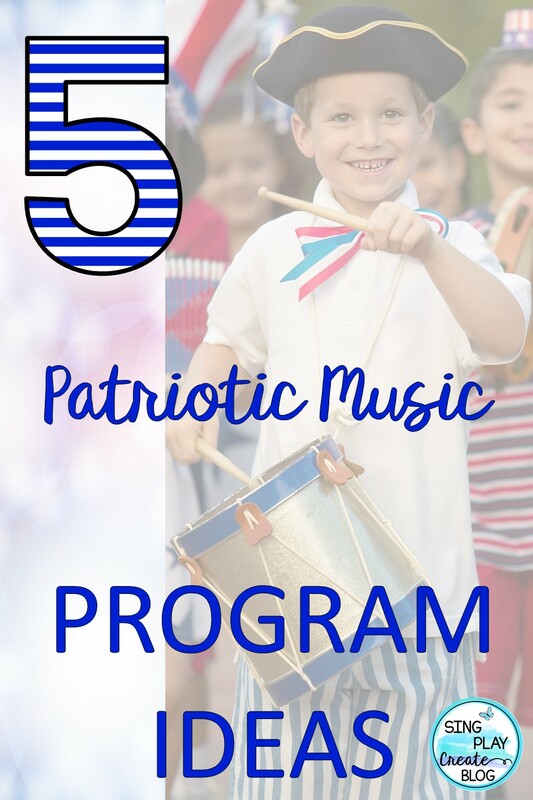 That’s why I’ve come up with Five Patriotic Music Program Ideas you can easily put together for your school. Memorial Day, Veteran’s Day, and President’s Day are great opportunities to pay respect, honor and celebrate our American heritage through music. 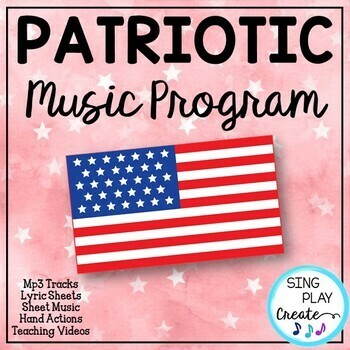 As the music teacher, you can set the tone for how students respond when they hear and perform patriotic music. I take this responsibility pretty seriously and spend a lot of time talking, showing and helping students learn the difference between singing “Happy” and “The National Anthem”. 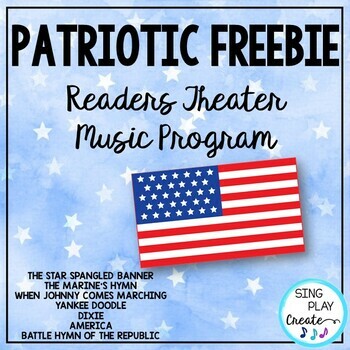 Many times a principal or administrator will ask the music teacher to come up with a patriotic music program without a lot of notice. Here’s five ideas you can use right now at your school. Be sure to keep reading for the Free Resource to get you started. 1-Have a school wide sing a long of familiar patriotic songs. Prepare a slide presentation with the lyrics and music. This way everyone can participate. I’ve created a Free Resource that you can use for this type of performance. You will need to find music accompaniments to the songs, but they are very familiar and the music is easy to find. You’ll find the link at the end of this posts. 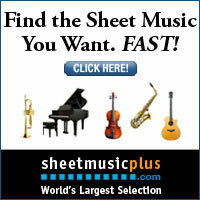 First, choose the songs that you want everyone to learn. It might be The National Anthem which students will sing at the beginning, along with a flag ceremony. Next, choose the songs for each grade level. Finally, choose the closing song. You might have the principal or a few students share patriotic feelings in between the songs. Make sure to have the students stand when they sing. 2-Present a music program where each grade sings one song and one speaker. Have each grade choose a song and stand and sing it for the rest of the school. This program is very similar to #1, but it means a bit less work for the music teacher as you’ll only teach one song to each grade level. This program will be great to use if you are in a time crunch and need to prepare and present something with short notice. Again, grab the Free Patriotic Resource to help you organize the program. 3-Have one grade level present a music program for the whole school. Write a script or find one online and have students sing songs in between speaking parts. You could choose a theme like “What does it mean to be an American Hero” and have students share essays they have written in class as the speaking parts. Every year I direct a special Veteran’s Day Program. My fourth graders sing about six songs and I find a guest speaker who is a Veteran to speak to the students. I also have the local scouts do a flag ceremony. We also invite any parents, friends and family members who are Veteran’s to be our guests’ of honor and sit up in front of the audience. We then recognize them and share where they served and in what branch of the military they served. One technique I used this year to help my students sing the songs on pitch and focus on listening to each other was to have them sing a song acapella. I chose FIFTY NIFTY UNITED STATES to practice this technique. This is one of the four classes that will be performing in the program. Although, not perfect…it was pretty good for a practice activity. The landed not quite on pitch but weren’t even a 1/2 step off! I was pretty proud of them. Our principal conducts the program and the fourth graders have speaking parts. The whole student body is encouraged to wear red, white and blue that day. I also teach everyone “American’s We” from Teresa Jennings’ MK-8 magazine. I have the whole student body stand and sing this song at the beginning of the program. We also stand and sing “The Star Spangled Banner”. My favorite song is AMERICAN TEARS by Teresa Jennings over at Plank Road Publishing. If you haven’t heard this song…then I challenge you to listen to the preview. I love hearing my students sing this song and they make me cry every time. 4- There are many schools that are close together. Maybe yours is one of those and you can ask your secondary music teachers if they’d like to come over to the Elementary school and perform some Patriotic music for the students. Try combining their performance with one or two songs that the students sing and you will have an amazingly heartfelt program. 5- There’s nothing better than to give students the opportunities to sing in their communities. The children perform better and they get to experience giving something back to their community. It brings joy to the Veteran’s and is a wonderful way to say thank you for their service. It also helps the students remember Veteran’s, what it means to be Patriotic and the importance of serving your country. Our school is close to the city center and so we’ve had the opportunity to walk down to the Veteran’s Day celebrations and sing a couple of songs for the Veteran’s as part of the concert that the high school band and choir perform. Our fourth graders also participate in letter writing and invite the Veteran’s to our school at the end of the year and the students sing to them. It doesn’t matter whether you have a big program or just sing one song at the beginning of the school day and have a moment of silence-what matter’s is that we as music teachers help our school community pay respect and remember our Veteran’s. 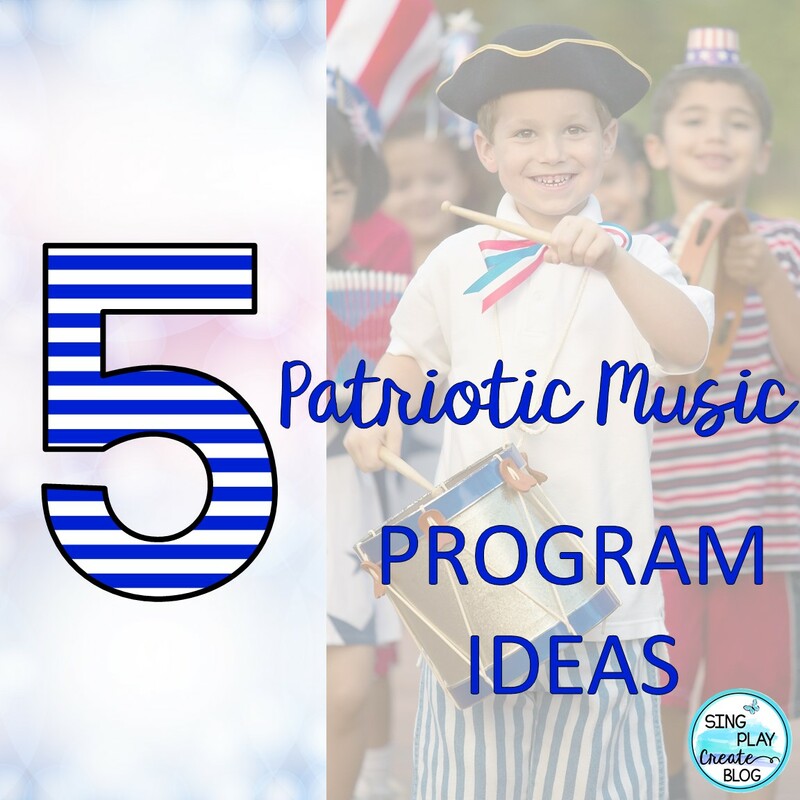 Here are some links to some Patriotic Songs that you might find useful for your Patriotic programs. “AMERICA THE BEAUTIFUL” using sign language. “The Star Spangled Banner” too using sign language and the history of the flag. A great resource here. Although Kinders can’t sing the whole song, I teach them to sing the ending from “…Oh say does that STar-spangled banner yet wave. O’er the land of the free, and the home of the brave.” I teach it to them every year and by the time they’ve worked on it a couple of years they know it well. I’m proud of the fact too, that everyone at my school knows the song and a little bit of the history. There’s nothing more touching than to hear all of the students dressed in red-white and blue singing and signing from their hearts. Here’s some FREE Resources you can find at TeachersPayTeachers and on YouTube! Here is a site with many patriotic songs in Midi File format. PATRIOTIC MIDI FILES -you’ll need to be able to use a music program to change the key as needed. You might like checking out my original Patriotic Music Program and Script with familiar and original songs. Each song has a preview video so that you can hear part of the song before purchasing. Need more help? I’m there for you. Feel free to get in touch with me via Facebook if you have a question. I’d be happy to help you succeed!